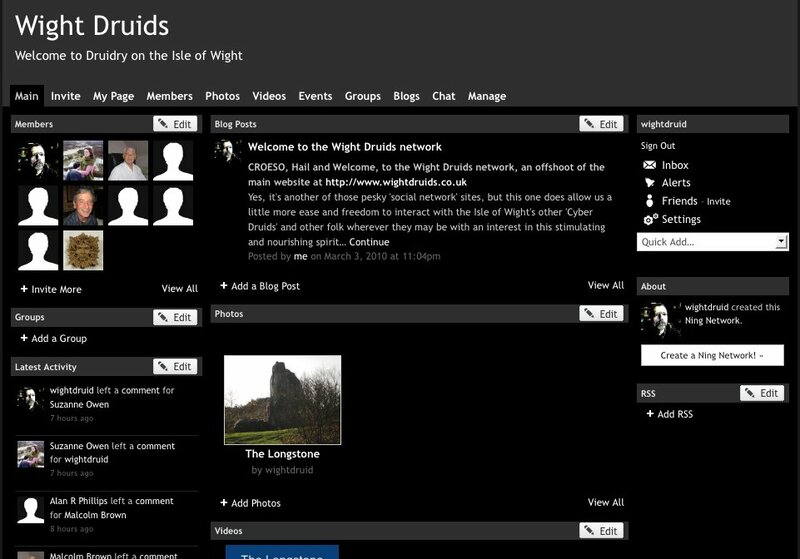 For those who don’t yet know, we have now opened up a new website at http://wightdruids.ning.com/ where we are all able to interact with each other, post photos, videos, music and even chat instantly with any Grove friends who are online. The idea is to allow all Grove members and friends to be able to share inspiration more readily and to be able to keep you all in touch with what’s happening in and around the Grove of Ynys Weith. If you haven’t yet had an invitation to join (via the Ning network) and would like one, please drop me a quick e-mail. If you have received an invitation but haven’t yet joined in, please do. It’s free and there’s absolutely no obligation to say or do anything, unless you really do want to share. We’d love to welcome you here.